about 5th to 4th century B.C. Greek, Etruscan, & Roman Bronzes (MFA), no. 699; Sculpture in Stone and Bronze (MFA), p. 127 (additional published references). 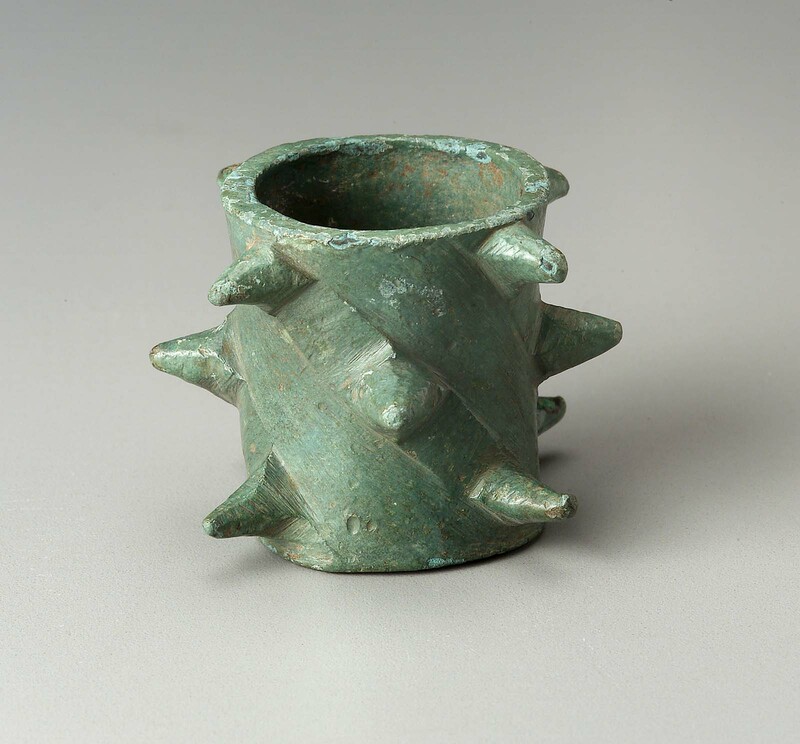 The object is cylindrical and hollow, with four spiral bands in slight relief, each band having three spikes projecting from it. Light green patina.